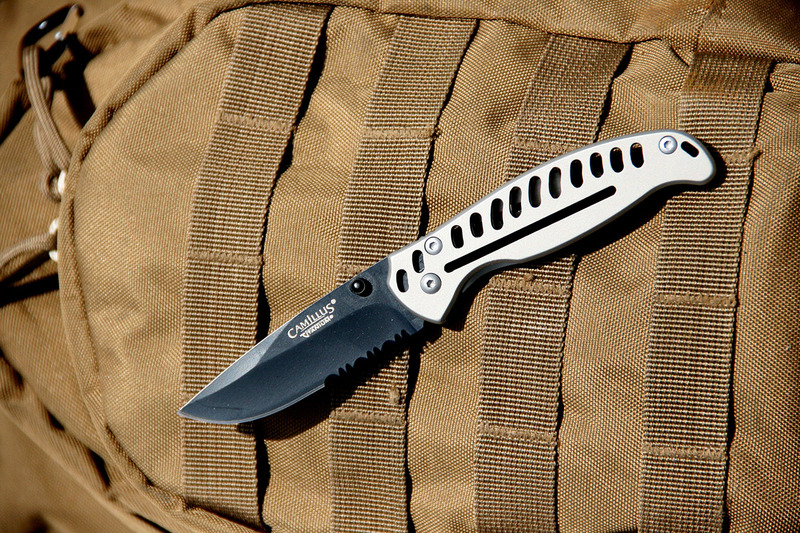 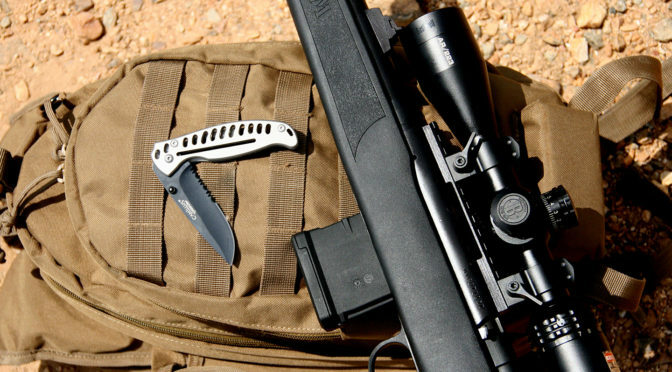 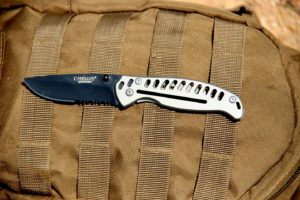 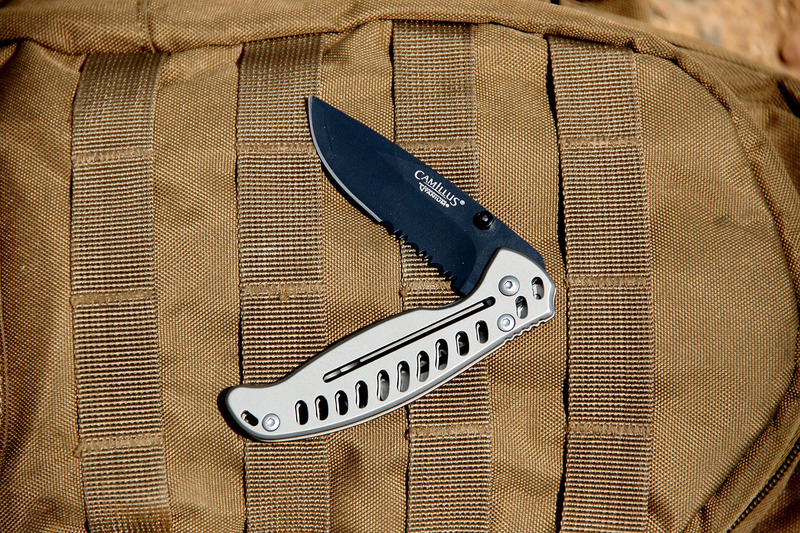 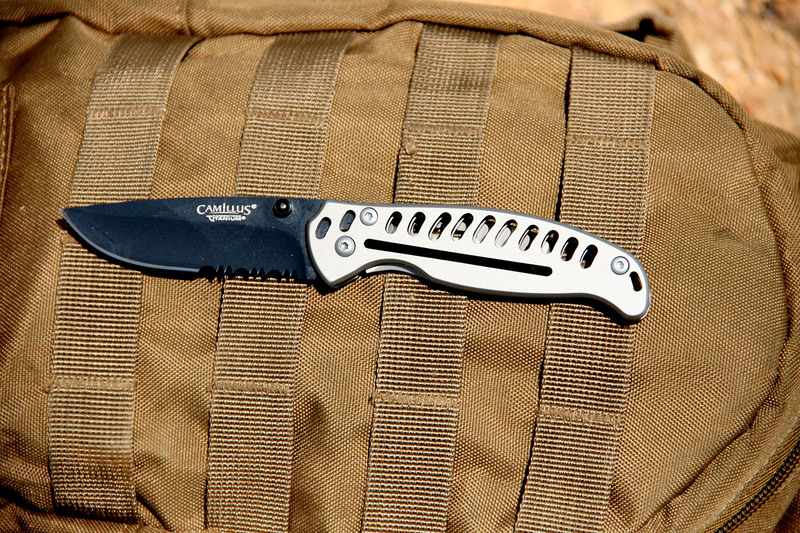 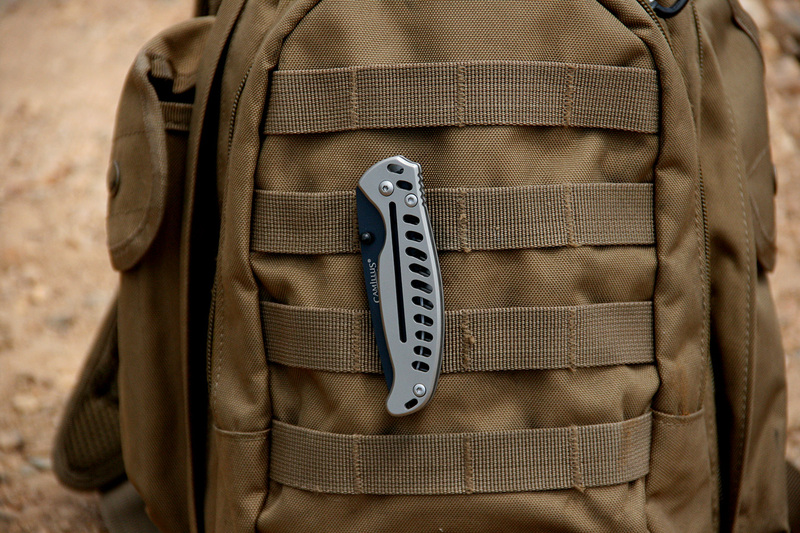 Introducing the new EDC3 Carbonitride Titanium tactical folding knife from Camillus! 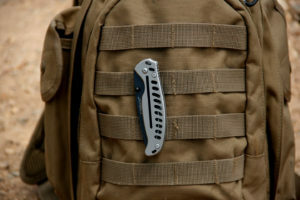 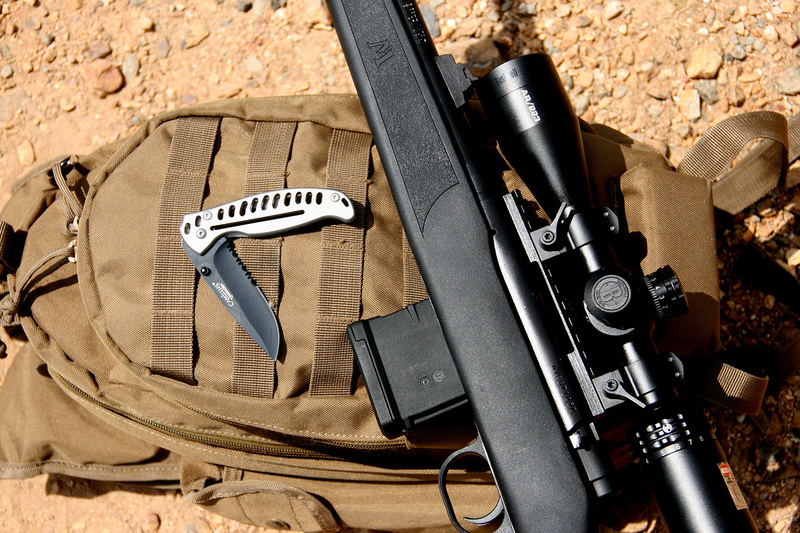 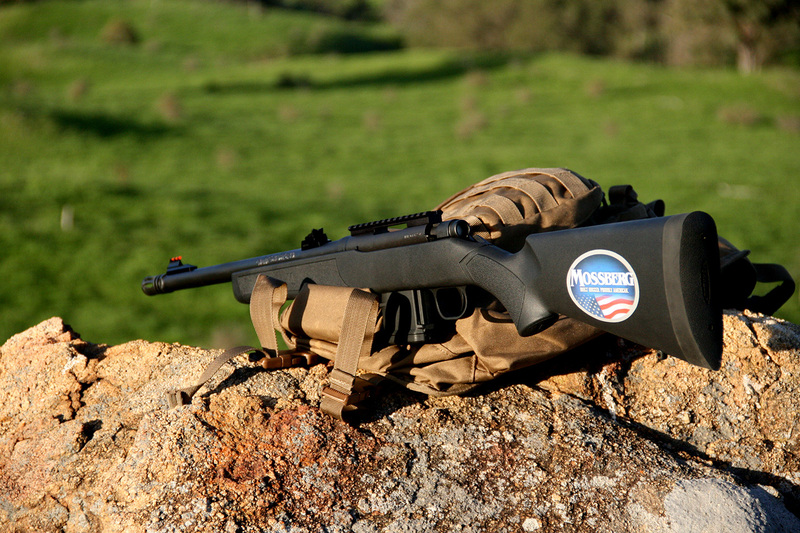 The EDC3 is a great addition to any hunting pack or for general outdoors use which is lightweight, rugged and can be deployed with one hand. The blade is 3″ (76mm) long with partial serration, constructed of Japanese AUS-8 SS and features the popular matt black drop point design, the handle is 4″ (101mm) long and is of stainless steel construction. 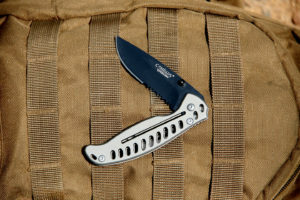 The EDC3 features dual thumb studs for easy one handed deployment and once deployed the liner lock engages ensuring safe use. 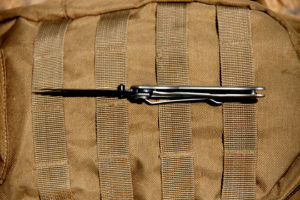 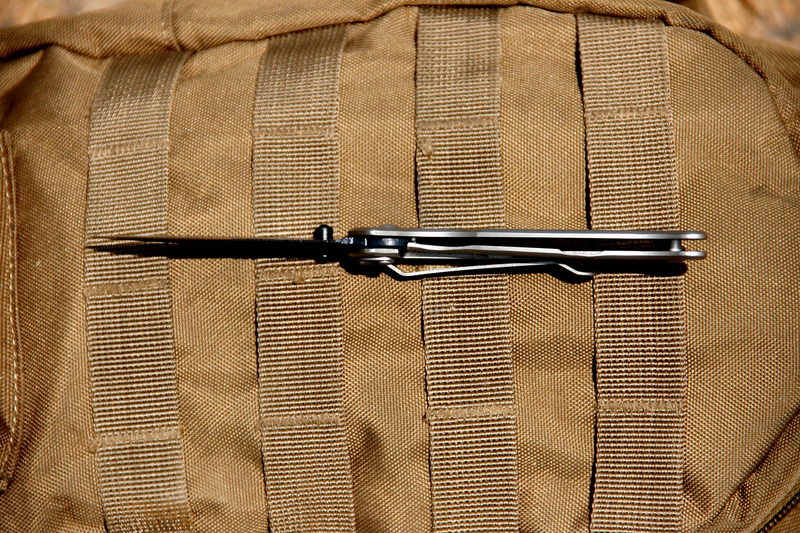 The EDC3 also features a SS belt clip, we found this useful attaching to our Voodoo Tactical Molle webbing on our backpacks. 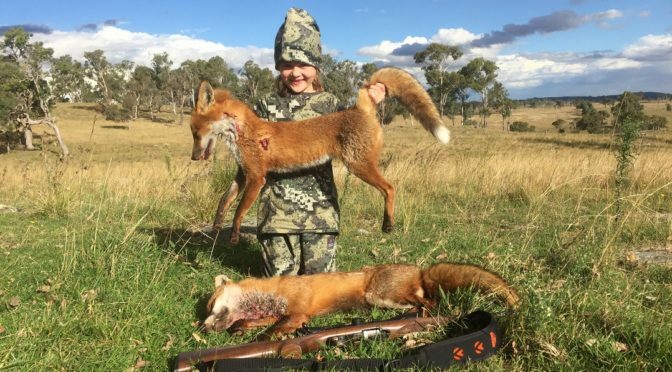 The Silva Fox Whistle in Action with Ben & Kenzie! 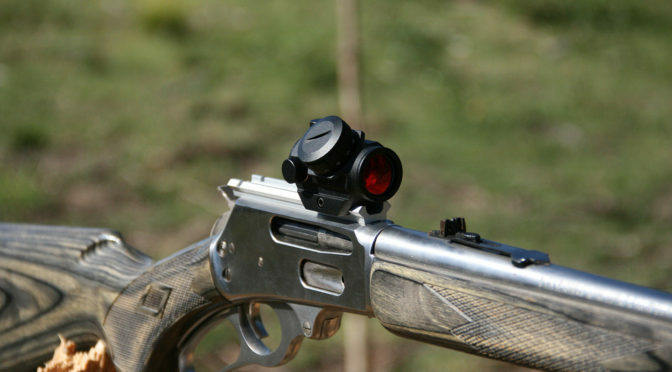 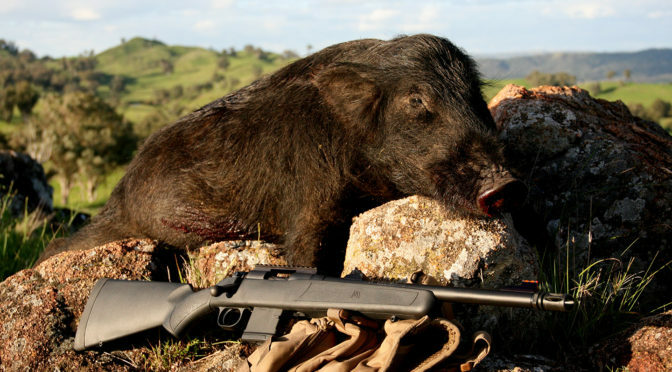 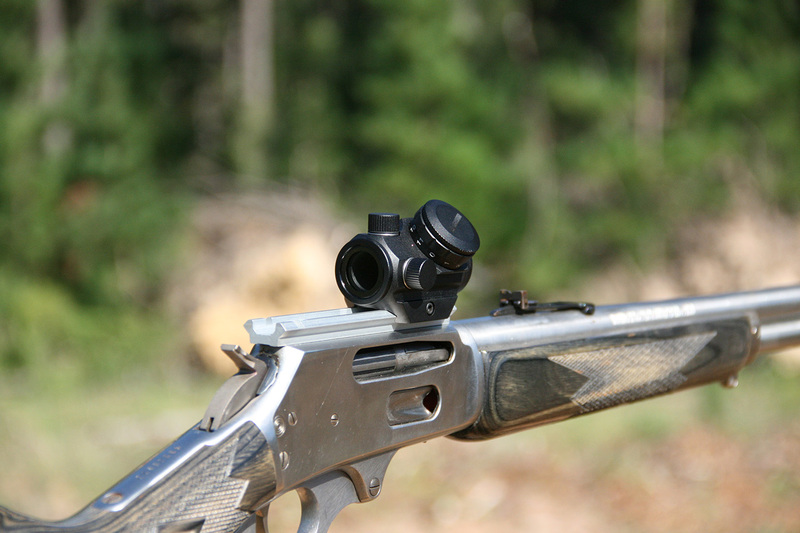 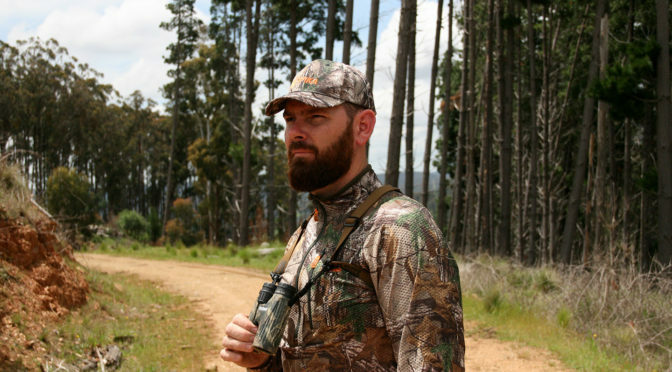 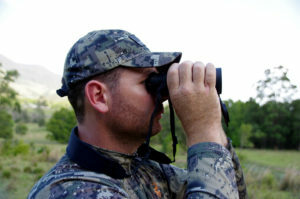 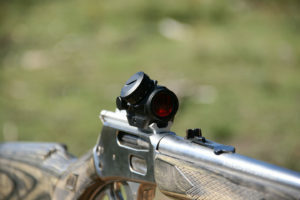 Every hunt demands the use of a good set of binoculars, but how do you have them at the ready in a comfortable position? Traditionally binoculars come with a standard 1″ to 2″ neck strap that allows the weight of the the bino’s to be spread evenly across the base of the neck, this is perfect for short term so you don’t accidentally drop your prized glass. 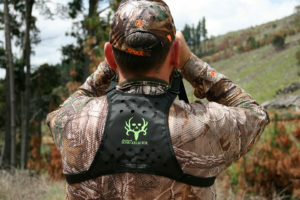 But as time wears on the pressure of the strap can feel like wire rope cutting into your neck, not the desired feeling when hunting or enjoying the outdoors. 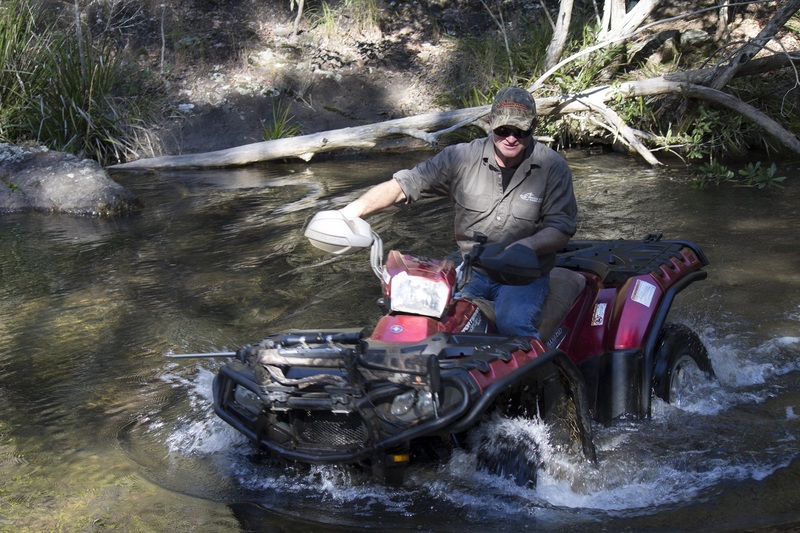 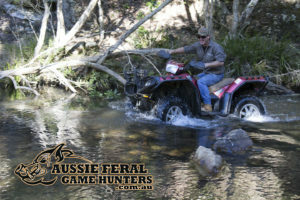 Hunting from the quad or 2 wheeler is one of the fastest ways to cover a large block chasing game, this could be either shooting or with dogs. 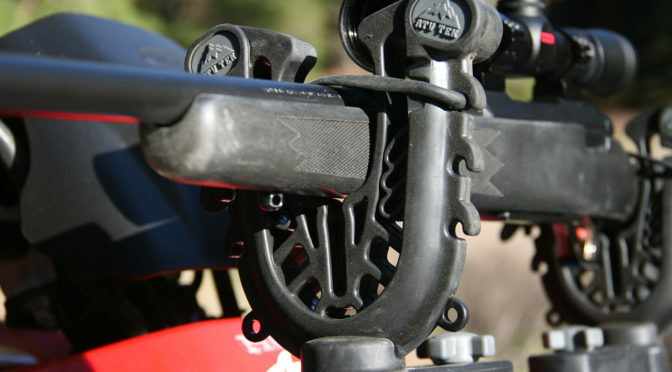 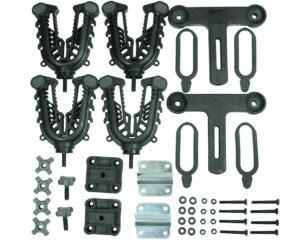 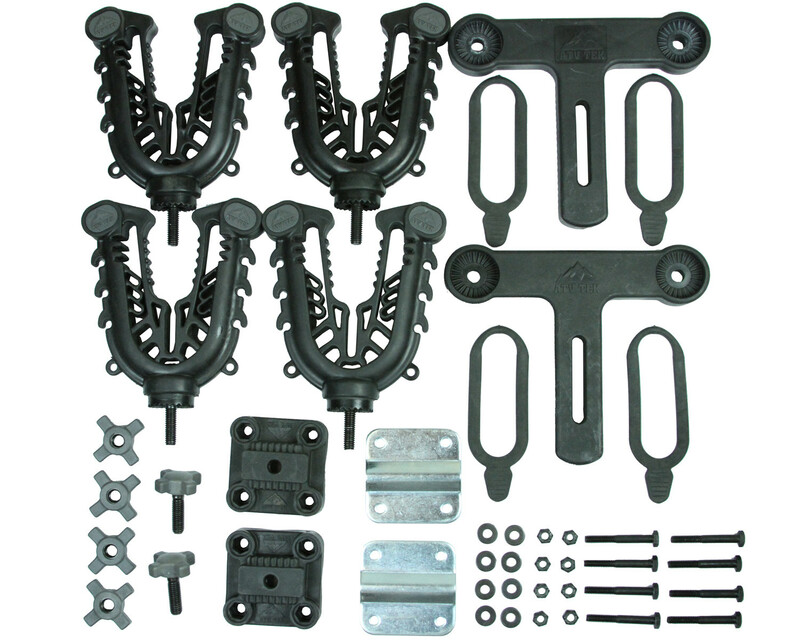 One of the biggest problems bike hunters face is gear storage that boasts rock solid mounting and ease of access, and in most cases it’s one or the other and very rarely both! 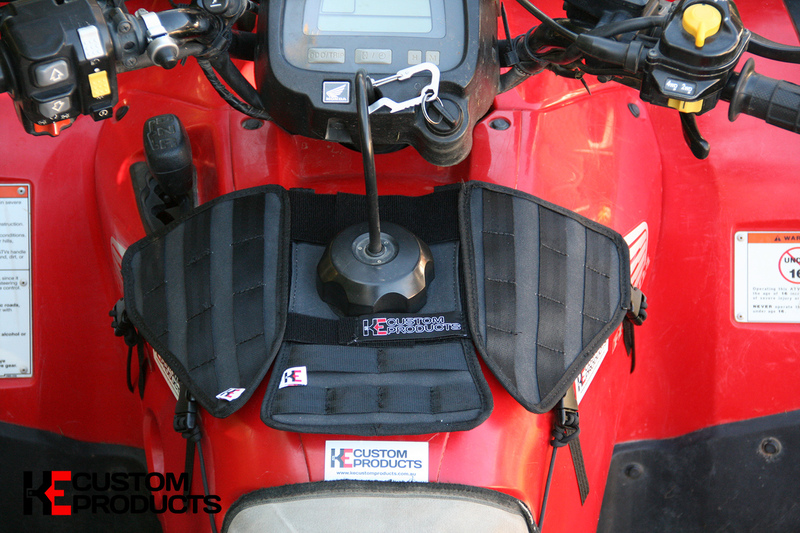 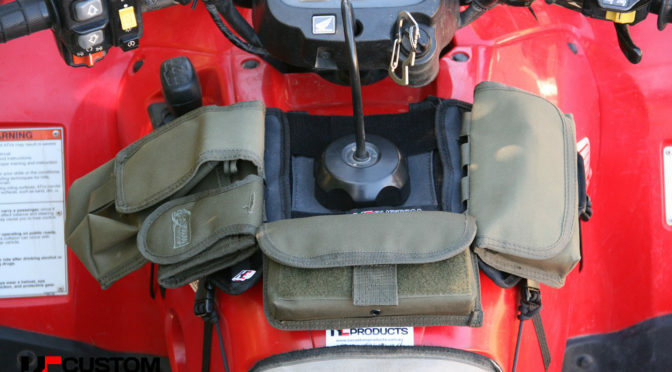 The team at KE Custom products have seen & experienced these problems in the field and being innovative designers have engineered the KETUB or better known as the Tank/Quad Utility Bag, a bag designed by bike hunters for bike hunters.